Your Android smartphone is a powerful tool, a miniature computer that fits in your pocket. Many wireless service providers keep you from altering parts of the operating system of your smartphone, such as the system files. If you prefer your phone to not have this restriction, root the phone. The rooting process is used by many smartphone owners. CyanogenMod, a popular custom read-only memory (ROM) maker, has an installation base of 5.5 million users. When you root the phone, you gain full access to low-level commands, system files and other protected areas of your smartphone. This process is not for a newcomer to Android operating systems, as you can cause issues with the software if you don’t know what you’re doing. For technically savvy folks, there are many benefits to rooting your Android smartphone, whether it’s T-Mobiles’s Samsung Galaxy S3 or your shiny new LG Nexus 4 from Google. The downside is that you technically void your warranty by rooting your smartphone, although you can get around that by restoring it to factory settings if you need warranty service or repair. The word “rooting” comes from the user access level “root” in Unix-based operating systems. When you have root level access to the system, it’s the same as having administrator access in a Windows computer. You can edit, delete and add system files to the operating system, install any applications you want, and use any compatible operating system you want. When you have complete control over the operating system, you do need to be careful not to make changes that would prevent the smartphone from booting. If booting fails, recover the phone by flashing the ROM or restoring the phone to its original settings. There is a variety of applications that take advantage of a fully-rooted operating system. Since these applications can use system resources and files without restriction, they tend to have more extensive functionality compared to standard applications. LAPTOP Magazine details some top rooted apps, including Titanium Backup, an all-inclusive backup application that creates backups of your smartphone, apps and app data. The app is useful for keeping all of your personal data intact. You can also use it to quickly restore applications you have installed, if something goes wrong after the phone has been rooted. Set CPU gives you control over the central processing unit and graphics processing unit speeds on your smartphone. You can manually over-clock these settings to get better performance out of your phone. 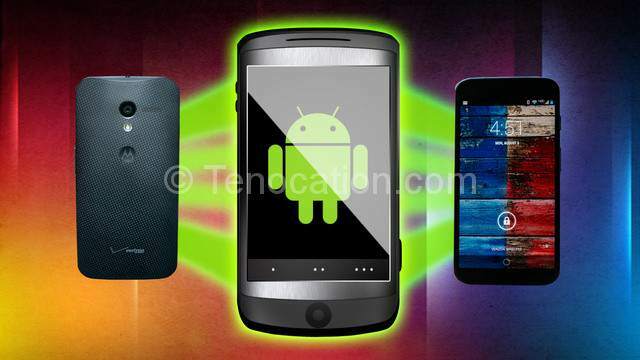 A custom ROM is a specialized version of the Android operating system. Some ROMs focus on boosting the Android’s performance, while others focus on efficiency, such as extending battery life. ROM makers customize the operating system experience and make the full packages available for rooted smartphones. For most phones, the rooting process is simpler than you might assume. You download a one-click rooting application and run it to root the phone. It only takes approximately 10 minutes, as new user permissions are set and system files are updated, so you can access anything on the operating system. Some phones require a manual root process, either due to restrictions placed on the phone due to a wireless carrier or a hardware-specific hang up. Many of these smartphones have specific apps or processes dedicated to rooting that phone. It makes the process slightly more complicated, but if you can follow a recipe, you can follow most root guides. Have you rooted a smartphone? Leave your tips in the comments.